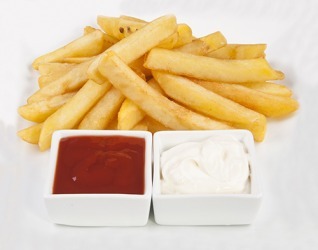 Every time Mark orders french fries at a restaurant, he requests mayonnaise as a dipping sauce too. Request is defined as the act of asking for something or something you asked for. An example of request is the song someone asked a band to play. Request means to ask for something. An example of request is to ask for a menu in a restaurant. "request." YourDictionary, n.d. Web. 24 April 2019. <https://www.yourdictionary.com/REQUEST>. To express a desire for, especially politely; ask for. Often used with an infinitive or clause: requested information about the experiment; requested to see the evidence firsthand; requested that the bus driver stop at the next corner. To ask (a person) to do something: The police requested her to accompany them. An act of asking for something. Something asked for: wasn't happy until he got his request. From Middle English requeste the act of requesting from Old French from Vulgar Latin (rēs) requaesita (thing) requested from alteration of Latin requīsīta feminine past participle of requīrere to ask for ; see require . A formal message requesting something. Condition of being sought after. From Old French requeste (French: requÃªte), from Vulgar Latin *requÃ¦sita, from Latin requisita, feminine of requisitus (“requested, demanded"), past participle of requÄ«rÅ (“require, ask"). His request gave her an idea. Codes mingled with names and addresses in a request for medical assistance. Without looking away, he addressed his request to Connie. "I request you to have the goodness to change your coat," he said as he turned away.